Edward Mwachinga is a partner with Viva Africa Consulting. He is an advocate, and one of the founders of Viva Africa Consulting. Edward has been involved in providing advice on tax legislation, principles and practice for a variety of clients including major telecommunications and manufacturing companies. 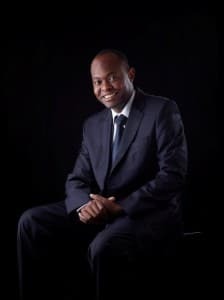 He has been involved in various projects including tax due diligence in mergers & acquisitions, advising on taxpayer remedies and resolution of disputes with revenue authorities, training, assisting in tax refunds and providing general advice on market access, investment strategies and accessing investment incentives. Edward is also involved through a World Bank group project in advising various governments in East Africa in their tax reform initiatives. He has contributed many thought leadership articles in various newspapers in East Africa.